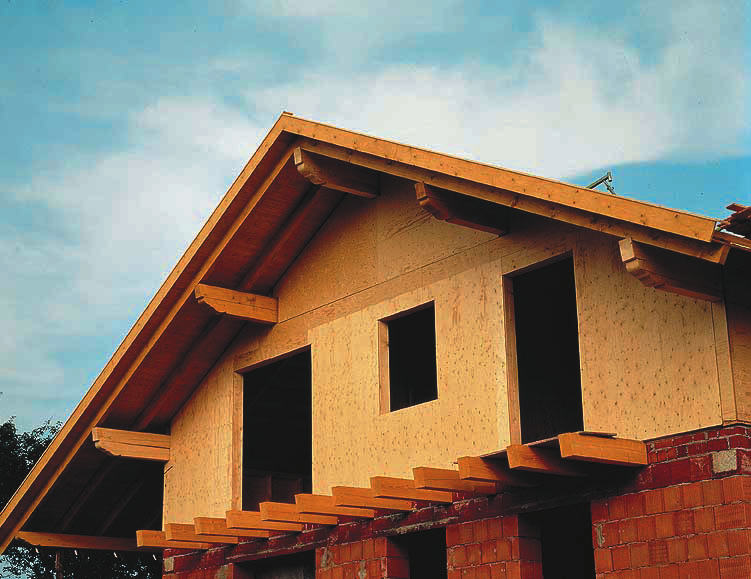 Does your structural plywood meet Eurocode 5? Are the sheet materials you are using fit for purpose? Are you using the right grade for the job? Are the sheets marked as FSC or PEFC certified? Sheet materials are structural and non-structural panels engineered from both solid timber and recycled timber using different types of adhesives. 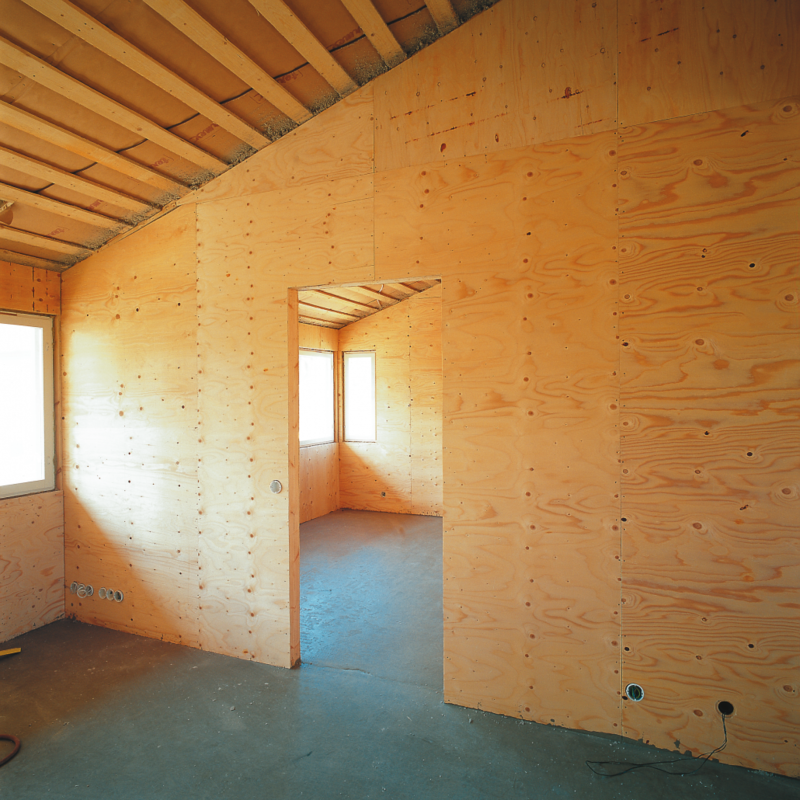 The most widely used products in construction are plywood, medium density fibreboard (MDF) particleboard (chipboard) and oriented strand board (OSB). They all have different grades for different uses. It is important to use the correct grade for the job. A versatile building material with a wide range of applications, from wall and floor sheathing, to designer interiors and glider fuselages. This Topic deals mainly with structural plywood. Softwood plywood is usually made from European spruce and mainly used in construction. Hardwood plywood is usually European birch, with clearer grades available for decorative use. It has good weather resistance and strength properties in compliance with specific standards such as BS EN 13986 (plywood in marine use), rather than the structural standard code Eurocode 5, and should not be used structurally. Marine plywood must have third party accreditation to demonstrate full compliance with BS 1088: 2003 Marine Plywood. See the TTF guide to Marine Plywood. 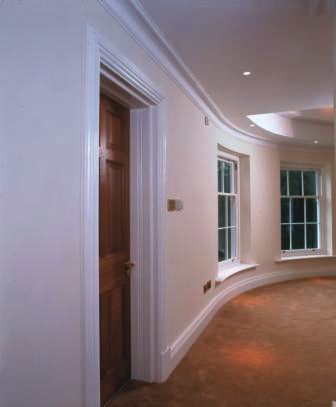 Durability, glue bond performance and resistance to decay may have to be considered, if not appearance and strength. Suitable sheets are available from Scandinavia, North America and the Far East. Sheet materials must comply with the Building Regulations and be fit for purpose. They must comply with the Construction Products regulation (CPR) through compliance with BS EN 13986. Must carry a CE mark to indicate CPR compliance and fitness for purpose. Check the characteristics of the sheets you are using for their suitability for the job, especially when using sheets for structural use. Look for FSC or PEFC marks to show the timber is from legal and sustainable sources. Using plywood structurally? Make sure the plywood you use is listed in Eurocode 5 (ref the earlier BS 526802:2003). Plywood for structural loadbearing applications, such as walls, floors and roofs, must be strong enough for the loading. Always use plywoods listed in Eurocode 5, which typically comes from Sweden, Finland, America or Canada. They must also comply with the Construction Products Regulation (CPR) by meeting the requirements of BS EN 13986, or by other means. Must carry the CE mark to demonstrate CPR compliance and fitness for a particular purpose. 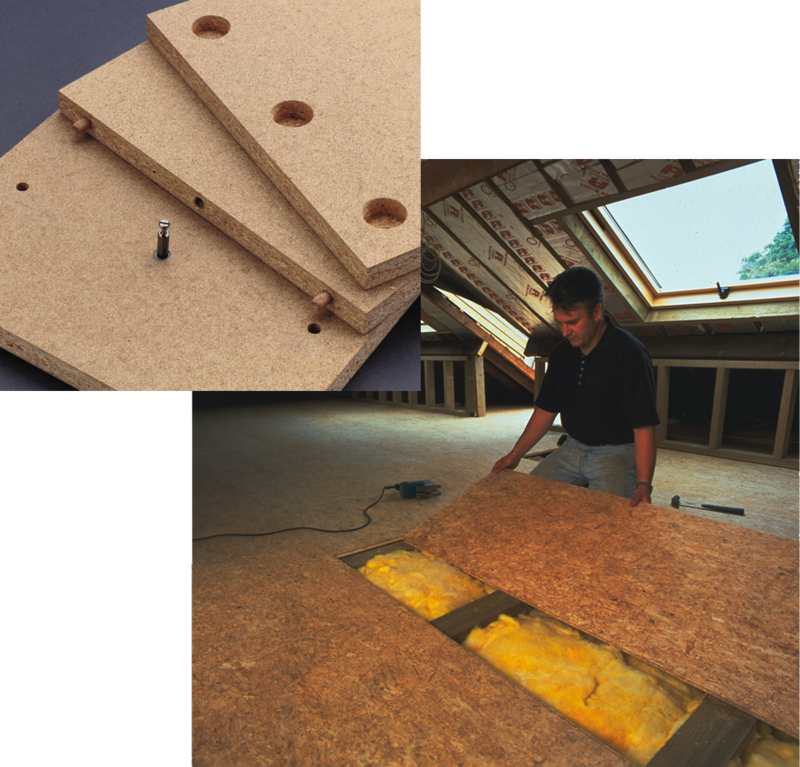 Spruce plywood is ideal as a roofing membrane, strong, light-weight, easy to handle and fully compliant with Eurocode 5. Precisely dimensioned, the panels are easily converted into durable surfaces, such as the foundation for the construction of moisture barrier roof structures. They can also be fitted together to form safe working surfaces while the roof installation is being carried out. In attic spaces, the foundation panels can be left uncovered. 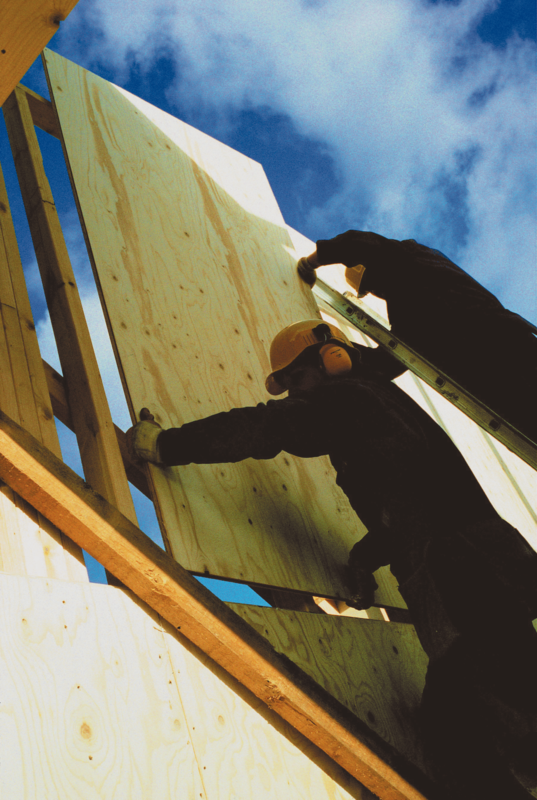 Fitting plywood sheets to roof trusses to form a solid base for battens is known as sarking. It results in a robust roof structure that is particularly popular in Scotland. The most common types of plywood available for use in UK construction are structural plywood for humid uses (EN 636-2 S) and general plywood for humid uses (EN 636-2 G). These types of plywood are made from durable resins that are suitable for most construction uses. 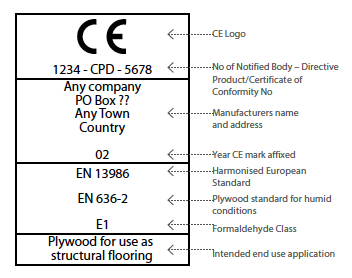 Structural plywood Must be CE marked to show that it conforms to the Construction Products Regulation (CPR). Structural plywood has proof of strength performance provided by the supplier in addition to other product performance information. BS EN 13986:2004 The harmonised European standard for wood-based panels for use in construction. EN 636-1 Dry use. Interior no risk of wetting. to weather, but still at risk of wetting. EN 636-3 Exterior use. Permanently outside exposed to the weather. EN 314-2:2003 Bonding quality requirements. A stiff, flat, engineered sheet made of wood fibres, bonded with resin. It has a consistent surface, without grain or knots and can be machined, drilled, cut and filled easily without damaging the surface. When used in construction, MDF must comply with Construction Products Regulation (CPR). Always wear a facemask when sanding wood – especially MDF. Particleboard, or chipboard, is made from wood chips, often recycled, compressed together with resin to give a smooth, knot-free surface. Different grades and thicknesses are available for use in a variety of structural and non-structural applications. Resin-bonded sheets of thin strands of wood, compressed into layers to form a mat, giving good dimensional stability with no knots or voids. Different grades and thicknesses are available for use in a wide range of structural and non-structural uses. For further information on all the sheet materials, specifications, sizes and thicknesses, fixing locations, support details and spans, especially in structural applications, ALWAYS refer to the manufacturer’s own literature or website, or enquire through your local merchant.